Massively online tactical action game Transformers Universe is coming this summer, so it's about time developer Jagex started rolling out some exclusive robots for the Transformers Prime-inspired game. Say hello to Duststorm and Meltdown. Now that we know the once-MMORPG is now a squad-based tactics action game, we're going to need some fresh squad leaders. Getting a very Arcee/Blackarachnia vibe off of Dusty here, which which means she fits the Transformers Prime mold. The name Duststorm has been used once before in Transformers history, as the moniker for one of the arms of Constructicon Maximus from the Transformers Energon cartoon. Pretty sure this Dustforce is of no relation. And then there is Meltdown, an Autobot SUV that looks like the result of a torrid affair between Bumblebee and Ratchet. Meltdown looks to be a healer, which should come in incredibly handy on the chaotic battlefields of Transformers Universe. The name Meltdown has been used for a Micromaster combiner toy from the first generation of Transformers, who oddly enough was a Decepticon in the U.S. and an Autobot in Japan. It was also the name of a human villain in Transformers Animated. Again, no relation. Expect many more new characters to pop up before the browser-based MOTA launches this summer. 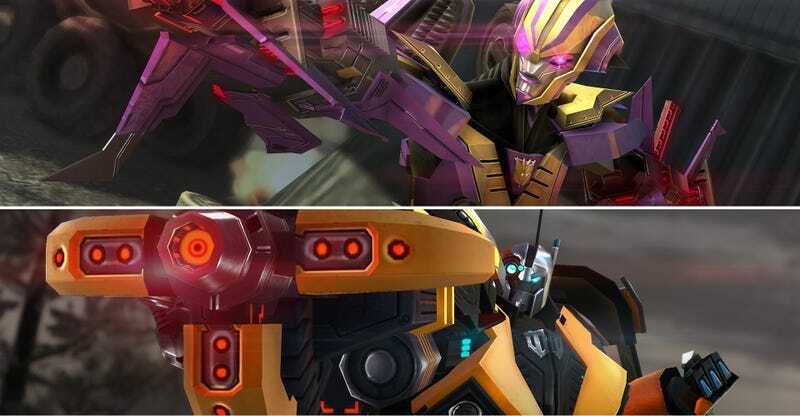 For more info, head over to the official Transformers Universe website.